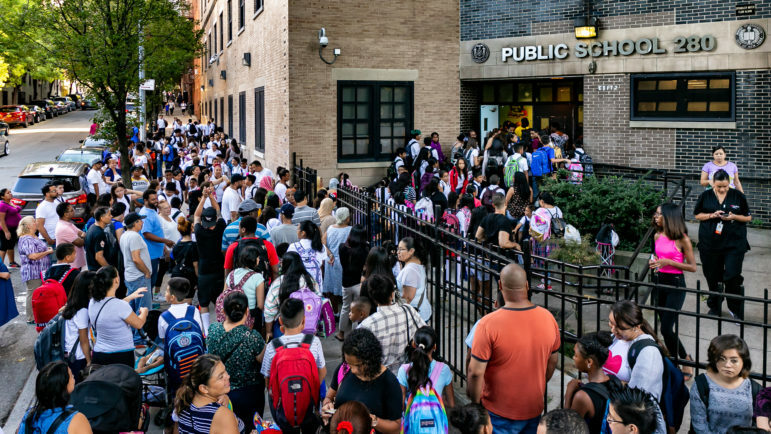 The first day of school in the Bronx in 2018. Over the past five years, the temperature in debates about education policy has dropped. This was one of many attacks Cuomo leveled on public education as he moved from his first to second term. As he embraced much of what came to be seen as the education-reform agenda, he championed charter schools, supported a tax credit for families whose children attended religious schools, sought to link teacher evaluations to student scores on standardized tests and pledged fealty to the state’s most controversial charter-school network, Eva Moskowitz’s Success Academy. “He has declared war on the public schools,” said Karen Magee, then president of the state teachers union, New York State United Teachers. In the city, Mayor Bill de Blasio leapt into the fray denying space in Department of Education buildings to a few of Moskowitz’s charters and branding some of the existing space-sharing arrangements as “abhorrent.” People on both sides of the education debates accused the other of not caring about poor Black and Brown children. Some charter-school opponents spoke darkly of backdoor real-estate deals, while supporters portrayed unionized teachers as lazy, greedy or both. What a difference four years can make. As he again runs for re-election, Cuomo has dropped the anti-public school rhetoric. Meanwhile, de Blasio has appointed a new schools chancellor, Richard Carranza, who has pledged to work with charter schools and visited some of them in his first weeks on the job. New York seems to be in the midst of a lull in its education wars. The defeat of many charter school advocates in last week’s Democratic primary elections seems like to continue – and deepen – the de-escalation. While the apparent hiatus has many causes, it remains to be seen what effect the change in tone will have over long-standing disputes about controversial issues such as charter schools, education funding and the role of testing. Whatever the reasons, many are glad tempers have cooled. “The issues are still there but folks have toned down the rhetoric, which is good,” says Steven Zimmerman, co-director of the Coalition of Community Charter Schools (C3S), which represents individually operated charter schools. While education has frequently been a fraught topic in New York – the clash over community control in Ocean-Hill Brownsville sparked a citywide teachers strike in 1968 – the most recent round kicked off when Joel Klein arrived as New York City schools chancellor in 2002. Vowing to “break some china,” Klein, who had essentially no education experience and was the first chancellor appointed under mayoral control of city schools, publicly derided career educators, closed dozens of venerable – but, he said, failing – schools, and championed charters. Under Klein, Mayor Michael Bloomberg and later Cuomo, New York was seen as the vanguard of the so-called education-reform movement, which supported charters, weakening of tenure protection for teachers, and standardized testing. Throughout the country, Democrats as well as Republicans sat in harsh judgement of public education. Arne Duncan, President Obama’s education secretary, hailed Hurricane Katrina’s leveling of many schools as “the best thing that happened to the education system in New Orleans.” Wisconsin Gov. Scott Walker targeted salaries, benefits and collective bargaining by many public employees, including, notably, teachers— sparking sit-ins in the state capital in Madison. Washington, D.C.’s then school superintendent Michelle Rhee posed for the cover of Time magazine holding a broom symbolizing her desire to sweep out lots of teachers. “It was the public rhetoric. It was making teachers public enemy number one…. When Wall Street crashed, we were the focus of that. It was bizarre,” says Jolene di Brango, executive vice president of New York State United Teachers (NYSUT), the state teachers union. Di Brango thinks teachers boosted their cause when they walked out of classrooms in West Virginia, Arizona and Oklahoma last spring. She says, “These were walkouts for their students and it really raised awareness” of the damage the anti-school rhetoric had done. Certainly, the education reform movement in New York – and much of the nation – no longer holds the influence it once did. Many of the measures it pushed for did not produce the kind of successes people had hoped they would, as low achievement persisted in many schools, particularly those with large numbers of students living in poverty. Though many charters thrived, scandals and poor performance plagued others – particularly for-profit and online-only schools. Cheating and “dumbing down” of tests and graduation requirements cast doubts on the data so prized by many school reformers. Then last year, one of the most high-profile pro-education reform groups, Families for Excellent Schools—which was closely aligned with Moskowitz—crashed and burned after suffering a humiliating defeat at the polls in Massachusetts and being charged with campaign finance violations. Its leader was fired in the wake of a sexual harassment accusation, and shortly thereafter the organization shut its doors. Even some charter advocates think FES’ demise has been beneficial. “FES being out of the equation is good for everything,” says Zimmerman. The woes for charters continued this year. Stories highlighted problems at Success Academy, particularly at its high school, where students chafed at rules, teacher turnover was high and Moskowitz resorted to having her son, who had not yet completed college, teach an advanced economics class. Then on Thursday six members of the State Senate’s former Independent Democratic Conference, who allied themselves with state Republicans, were defeated by more progressive challengers. Although charters were not a big issue in the races, pro charter groups gave heavily to many of incumbents, notably IDC leader Jeff Klein. It seems likely that charter schools – and education reform overall – will have less influence in Albany next year. This will almost certainly lead to a less combative environment on many education issues. Other factors have contributed to the apparent truce in New York, and that includes Donald Trump. Nicole Brisbane of Democrats for Education Reform, which supports charter schools and testing, says Democrats, though sharply split on education, may shy away from education battles because they want to present a united front against the president. “The moment now is really about Trump and fighting Trump, and education is too divisive,” she says. Other than sometimes touting his controversial Excelsior college scholarship program, Cuomo has been largely silent on education of late. “He’s stepping away from his stands because he had been getting hammered in the polls” largely due to some of his education positions, says Carol Burris, the former principal of a Long Island high school who now serves as executive director of the Network for Public Education. She adds, though, that Cuomo has not explicitly reversed himself. “I’m not sure he’s not playing the same song in his head,” Burris says. Although the governor does not appoint the state’s top education officials, until recently those holding the posts shared many of the views he was espousing. Merryl Tisch, former chancellor of the state board of Regents, and John King, the state education commissioner who went on to be acting U.S. Secretary of Education, championed charter schools, high-stakes testing, Common Core and other mainstays of the education reform agenda. Both have left those posts, replaced respectively by Betty Rosa, a longtime educator in Manhattan and the Bronx, and MaryEllen Elia, the former superintendent of the Hillsborough, Fla., school system. Thorny issues remain, though. Although education has not been front and center in the state campaign so far—the debate between Cuomo and Nixon did not include a single question on education – it has been a factor. In contrast to Cuomo’s silence on education, for example, Nixon frequently cited her background as a product of New York City public schools, a public school activist and the parent of children who have attended public schools. Although Cuomo boasts of having increased school funding, critics like the Alliance for Quality Education argue the state has never fulfilled its obligation under the Campaign for Fiscal Equity suit, which found that New York’s funding formula for public education violated students’ state constitutional rights to a sound, basic education. Few, if any, critics call for shutting down existing, well-performing charters. “Charters are here to stay because hundreds of thousands of parents choose to send their children here,” Zimmerman says. Despite that, critics, such as Burris and NYSUT argue the emphasis should remain on the traditional public schools that most New York children attend. They remain wary of giving charters space in traditional public schools, seek to limit the number of charter schools and urge strict oversight of the charters. In Albany, the argument tends to revolve around the cap – the limit on how many charter schools can operate in the state. Even the cap, though, has become less of an issue than it once was as the rate of growth in the number of charter schools has slowed and, according to NYSUT, the existing limits allow for 28 additional charters in New York City alone. A bid to raise the cap failed in the last legislative session, and if the Democrats who won on Thursday end up in Albany next year, any further effort to raise it seem doomed to failure. Ironically charters, once seen as the beacon for school choice, have been tarnished by the Trump administration and Education Secretary Betsy De Vos’ support for more radical school choice policies, especially the idea of giving parents vouchers they can “spend” at private, even religious, schools. Standardized testing – and how it was is used – has served as another fault line in the education battles. Those allied with education reform not only believe in standardized tests but have called for the tests being used to evaluate teachers and screen students for schools. The furor over such high-stakes tests fueled much of the opposition to the Common Core learning standards in New York state and launched the opt-out movement, which, according to advocates, saw 20 percent of students in the state not take their standardized tests in 2017. The national push for high-stakes tests waned when the pro-testing Obama administration left Washington. In New York, opt-out advocates won changes in the tests – and in how they were used. Next Generation Learning Standards replaced the Common Core in New York, while on the national level, the Every Student Succeeds Act (ESSA) replaced No Child Left Behind. Neither of the new regimes has proved nearly as controversial as its predecessor. Proponents of high-stakes testing suffered a setback this month when the state Department of Education withdrew a proposed section of New York’s ESSA plan that would have withheld some federal funding from schools where more than 5 percent of students opt out of state standardized tests. Federal law requires a 95 percent participation rate but gives states leeway in how states insure that. 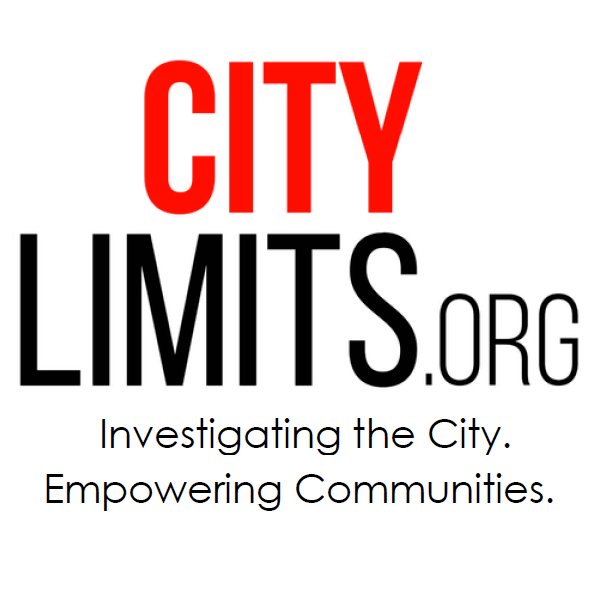 New York is currently proposing less draconian measures than withholding funds. NYSUT hailed the change. “No school should face any sanction — or the stigma of being placed on a state list of academically deficient schools — because parents refuse to have their children take flawed and misused state standardized tests,” the union said in a statement. Testing also comes into play in the debate over teacher evaluations. In 2015, Cuomo decried the existing system, calling evaluations “baloney.” “How can 38 percent of students be ready and 98 percent of the teachers rated effective?” he asked. To fix it, he called for basing 50 percent of a teacher’s evaluation on standardized test results. In the wake of protests from teachers and some parents, Cuomo backed away from his position, and the legislature blocked the use of test scores in the evaluations. That moratorium expires in 2019. So far, though, nothing has taken its place. The issue could reach the legislature in the form of de Blasio’s proposal to do away with the single test that determines admission to eight of the city’s top academic high schools. For now, few people see that measure of having much chance of passage. But the strong feelings about that test underscore why any truce in New York’s education wars will likely be short lived. Can someone explain to me how the NYC public schools with a 15% white student enrollment can be integrated? Ceasefire over – Cuomo now pushing a law to allow more charter schools under the cap. Battle stations, everyone? Looking forward to more coverage by this author, but hopefully future comments by PACs and astroturfer groups will include disclaimers of how much money they give to political groups and how they use the “revolving door” to reward former officials. NYC readers should know the difference between actual stakeholder groups like NPE or the teachers union and billionaire-funded lobbyists posing as “think tanks”. Not so fast. With Raise the Age going into effect this week, the city’s 16- and 17-year-olds in custody are just moving from one jail to another.